You can purchase subscriptions through the website, using direct debit, a credit / debit card, or Paypal. You can also purchase other items such as the Ringing World diary, calendar, Christmas cards and art print. 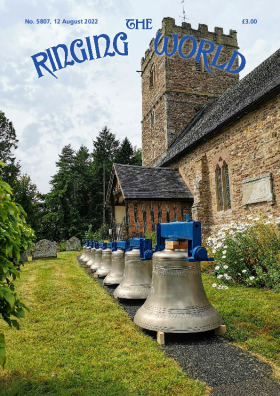 The Ringing World is always very grateful for donations received from readers, whether they accompany peal or quarter peal reports or are made for other reasons. For many years donations have helped to contain subscription levels.